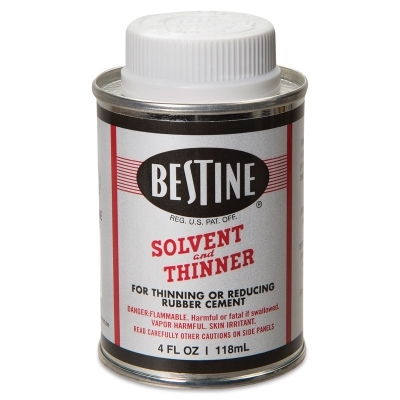 This is a non-staining solvent designed for both commercial and professional artists and architects, used for thinning and removing all rubber cements. It's great for general clean-up, too. ® Bestine is a registered trademark.